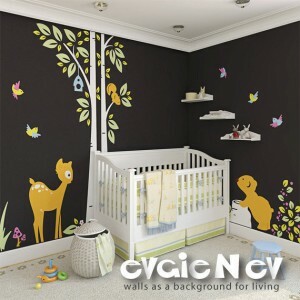 CoolCanucks Blog Contest ~ evgieNev Vinyl Wall Decal Review & Giveaway!! I have wanted to do some­thing fun and colour­ful in the hall­way of my home for years but have never really had any great ideas of what I could do to make that hap­pen. All that graced my hall­way were coat hooks, a shoe rack and a few pic­tures, func­tional but pretty darn bor­ing! 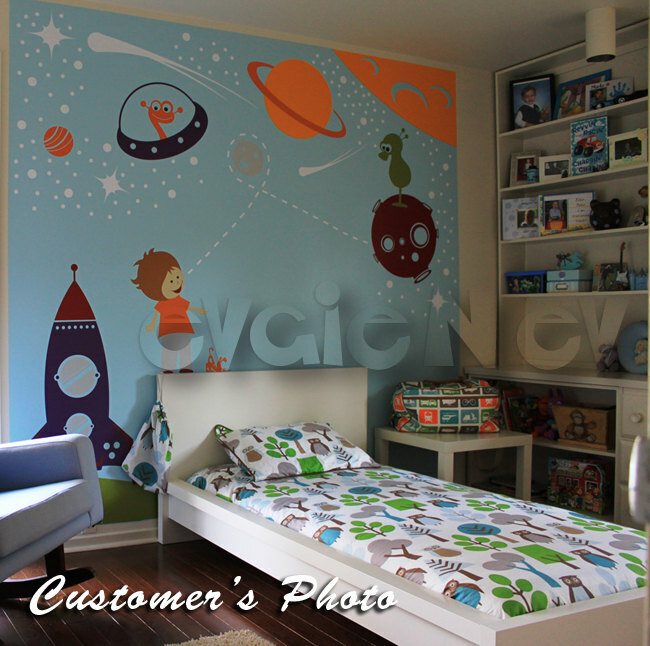 One night while I was surf­ing online I came across a won­der­ful shop that offers all kinds of amaz­ing vinyl wall decals and I knew I found the place that offered a solu­tion to my hall­way woes. 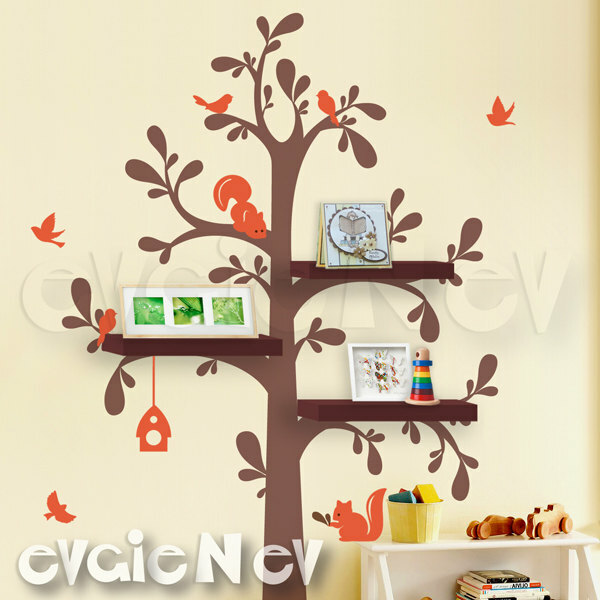 My find was a Cana­dian based online store called evgieNev that car­ries the best nurs­ery wall decals, teen wall decals, kids wall decals, cus­tom quotes, mod­ern abstracts and so much more. “Evgie and Ev are real gals with pas­sion and exper­tise in dig­i­tal illus­tra­tion and inte­rior dec­o­ra­tion. A few words About Us: Each of us liked draw­ing very much since child­hood, it became our pro­fes­sion. evgieNev offers an incred­i­ble assort­ment of vinyl wall decals that are per­fect to dec­o­rate every room in your home. 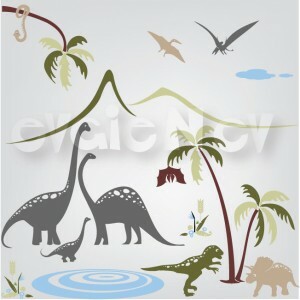 If you are look­ing for decals for a new nurs­ery you will find that they offer the best nurs­ery decals out there. It makes me wish I was expect­ing so I could cre­ate a spe­cial room for a lit­tle one. The wall art for the liv­ing room is a great way to update your space and make it look styl­ish and trendy with­out hav­ing to spend lots of time, money or work to achieve your goal. Their bed­room decals for kids, teens and adults can help you cre­ate the per­fect room for any per­son­al­ity. From branches, trees, polka dots, flow­ers, themes and cus­tom quotes you can cre­ate and enjoy the room you have dreamed of. The own­ers of evgieNev very kindly offered me an item of my choos­ing to review. 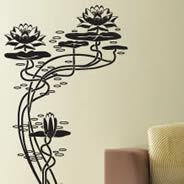 I decided on a Fly­ing Seeds — Dan­de­lion wall decal that I knew would be a per­fect fit for my hall­way. I was able to choose the colour of the decal and went with Olive because it would look great on my white walls and match the rest of the décor in my apart­ment. Instal­la­tion was so easy and from start to fin­ish the whole project took less than a half hour. The end result is a work of art grac­ing my hall­way that looks like I hired a pro­fes­sional to come in and do for me. It looks like it was painted right onto the wall and it makes my once bor­ing hall­way warm and inviting. Buy It!! 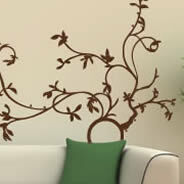 Visit here to buy your own Fly­ing Seeds — Dan­de­lion wall decal! Win It!! Enter my sweep­stakes give­away below for a chance to win a $100 coupon for any­thing in their store (coupon can be used towards ship­ping costs as well)!! Open to Canada and USA. How to enter: All entries must be sub­mit­ted using the Raf­fle­copter form below. After you com­plete the easy manda­tory entry, you can do as many bonus entries as you’d like to increase your chances of win­ning. 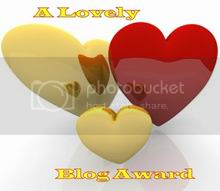 I will be check­ing for dupli­cate entries to make sure it’s fair, and no cheat­ing will be tol­er­ated! 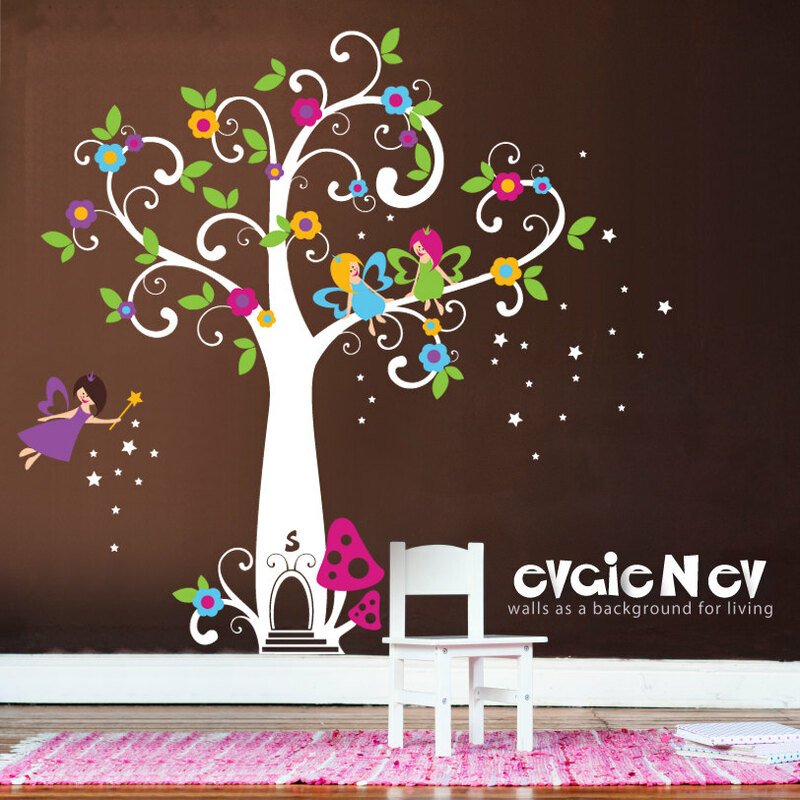 Are you just bored of just star­ing at your plain painted walls day after day? Feel like you need some colour and ‘action’ in amongst your decor? Well look no fur­ther!! Trad­ing Phrases will defi­nately wake up your walls! 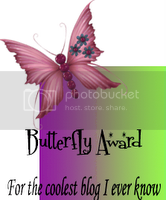 Trad­ing Phrases offers fun and easy wall let­ter­ing, quotes, and graphics! “It started with the inspi­ra­tion in a mag­a­zine. A photo of words on a wall that didn’t take a lot of time or skill, words that struck a chord with where design ele­ments were going at the time. Using a wall for a medium for a graphic design, for an inspi­ra­tional sen­ti­ment, or even just to add a touch of per­son­al­iza­tion is not new, but using the vinyl medium makes it quick, easy, and an afford­able per­fect touch to any space. Four plot­ters and sev­eral thou­sand orders later, we’re a grow­ing busi­ness with a dozen employ­ees, a web­site that needs an over­haul, and the var­i­ous grow­ing pains that come with tak­ing every­thing to the next level. Here at Trad­ing Phrases our pas­sions run deep for typo­graphic design. Inspi­ra­tion comes from all over: art, fab­ric, quotes, design, music, just about every­where. Most of all, our inspi­ra­tion comes from our cus­tomers and their ideas for new designs, or per­fect amend­ments to exist­ing designs. 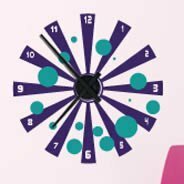 Our let­ter­ing designs allow you to per­son­al­ize your space, no mat­ter how tem­po­rary or per­ma­nent, with bold and beau­ti­ful decals. Our prod­ucts have graced libraries, schools, wed­ding dance floors, restau­rants, stores, and far more per­sonal abodes than we can even fathom. Our envi­ron­ment is a fun, cre­ative envi­ron­ment where we blend musi­cians, artists, cre­ative souls, stu­dents, and enter­tain­ers, and blend in a healthy mix of busi­ness and pro­fes­sion­al­ism. Our designs are as unique as our design­ers, and our com­mit­ment is to mak­ing sure our cus­tomers get what they want. 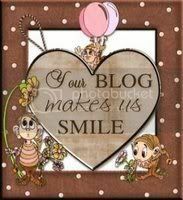 I had the plea­sure of review­ing one of their won­der­ful Wall Graph­ics for my kitchen and it sure woke up that oth­er­wise plain bor­ing wall! I love it so much, and numer­ous com­pli­ments came my way by guests after adding this beau­ti­ful wall design! It was applied so eas­ily, even a child can do it with­out mess­ing it up!! Totally pro­fes­sional results at the fin­ger­tips of an amateur! 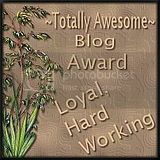 I give a huge kudos to Trad­ing Phrases for their won­der­ful wall designs and wall graph­ics! 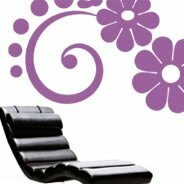 Be sure to check out their exten­sive array of gor­geous wall decals all neatly cat­e­go­rized on the left to make shop­ping with them a com­plete snap! 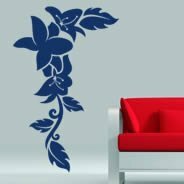 The very kind and gen­er­ous folks at Trad­ing Phrases has offered to give away this wall decal to one lucky Cool­Canucks reader! It says “For every minute you are angry, you lose sixty sec­onds of hap­pi­ness”. SWEET!! 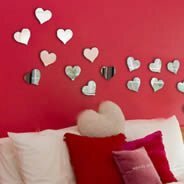 1) Head on over to Trad­ing Phrases and pick out the wall design there that you love most and then please leave a com­ment here! Fol­low @coolcanucks and @tradingphrases on Twit­ter! Leave me your twit­ter name! Become a Fan of Trad­ing Phrases on Face­book and leave a com­ment on their wall that you came from Cool­Canucks! Pur­chase any­thing from Trad­ing Phrases for the dura­tion of the give­away and get 10 extra entries!! Just tell me in a comment! A HUGE thank you to Trad­ing Phrases for spon­sor­ing us with this GREAT Con­test here at CoolCanucks!! If you are like me, you are always wish­ing your house looked more bright and won­der­ful. I see dec­o­rat­ing ideas, and paint fin­ishes, and I get all these grandiose visions in my mind. But, we really hate paint­ing. The choos­ing of colours, prep­ping the walls, tap­ing off ceil­ings and base­boards… need I go on? It’s just too much and I just DREAD the thought! 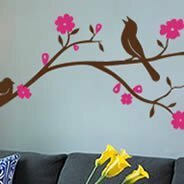 Wall Slicks are cer­tainly here for peo­ple like me, who just want to pur­chase stun­ning Wall Decals to eas­ily apply to bor­ing walls, and spruce up my home decor in a snap! Wel­come to Wall Slicks. Want to jazz up your oth­er­wise bor­ing walls? Instantly add gor­geous Wall Decals to brighten up your decor! 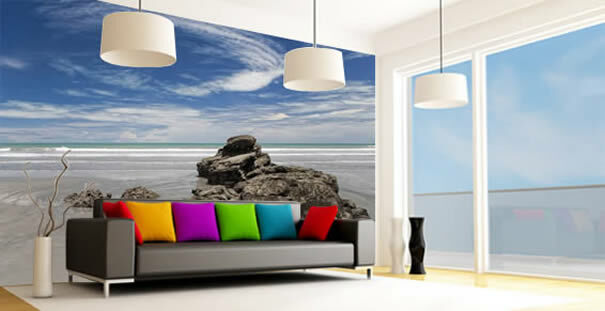 Wall Slicks has over 100 graphic designs of Wall Stick­ers and Wall Decals for you to choose from. 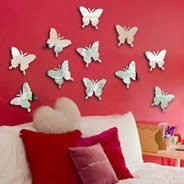 They are real sim­ple to apply to your plain bor­ing walls, and look amazing! “These adhe­sive vinyl wall decals can be used on vir­tu­ally any sur­face. They actu­ally look like they were painted on. They are extremely easy to apply, for the DIY new­bee or the expe­ri­enced home dec­o­ra­tor. Just peel and stick. I am extremely proud of the mate­ri­als we use for this prod­uct. Wall Slicks™ are easy to remove and are guar­an­teed not to leave any residue” announced Christa DeMar­tini, owner of Mod­ern Graphics. What makes Wall Slicks stand out from their many com­peti­tors is the fact that they offer the home­owner the chance to see the fin­ished prod­uct before it’s fully applied. 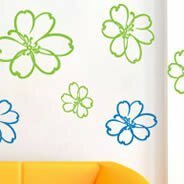 The clear vinyl allows you to see these Wall Decals as they would look when com­pletely adhered to the wall, mak­ing for a less time con­sum­ing way to design a room. 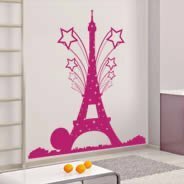 Wall Slicks Wall Decals are a mess free alter­na­tive to paint­ing and tack­ing up var­i­ous posters & pic­tures to cre­ate a fun and extremely styl­ish room. 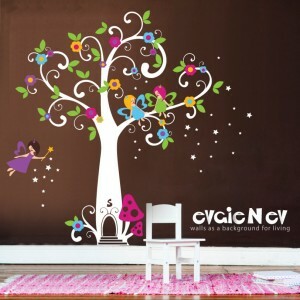 Apply­ing these Wall Decals are a com­plete snap, and the walls now look so pro­fes­sion­ally done! Even an ama­teur like me can do it! I rec­om­mend these Wall Stick­ers from Wall Slicks Mod­ern Wall Graph­ics to any­one! 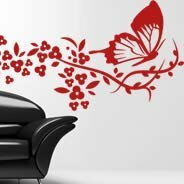 The very kind and gen­er­ous folks over at Wall Slicks Mod­ern Wall Graph­ics want to give one lucky Cool­Canucks reader the chance to win ANY ONE of their Wall Decals on their site of the winner’s own choice!! Absolute SWEET prize! 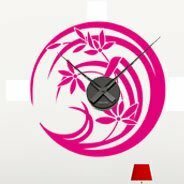 1) Head on over to Wall Slicks Mod­ern Wall Graph­ics and browse through all of their stun­ning Wall Decals and Wall Stick­ers. Come back here and tell me what you most would want to have! Fol­low @coolcanucks and @WallSlicks on Twit­ter! Leave me your twit­ter name! Pur­chase any­thing from Wall Slicks Mod­ern Wall Graph­ics for the dura­tion of the give­away and get 10 extra entries!! Just tell me in a comment! A HUGE thank you to Wall Slicks Mod­ern Wall Graph­ics for spon­sor­ing us with this GREAT Con­test here at CoolCanucks! !